In honor of International Women’s Day on March 8, this week CNFA is spotlighting the incredible women that we work with around the world. Their stories underpin our strong belief in the relationship between empowering women in the agricultural sector and achieving greater impacts in agricultural productivity, economic growth and nutrition. We integrate the roles of both men and women in developing interventions at all stages of our programs. We have found that this inclusivity can help garner support for women’s participation and leadership in project activities; provide women with access to new skills and technologies; and generate higher incomes for their families. When women are empowered, their families and communities benefit immensely. That is why our program implementation optimizes gender-focused results and relies on an efficient M&E structure. This not only involves disaggregation of monitoring and evaluation data to ensure women are participating and benefitting from program activities on an appropriate level relative to men, but also depends on gender issue-specific indicators that measure changes in women’s empowerment in the agricultural sector. From Day 1, every CNFA program is geared towards transformative changes for women. March 11, 2016 – this post is a contribution to our week-long blog series highlighting some of the incredible women that we work with across the world. CNFA’s Amalima program fosters women’s empowerment and gender equity, seeking to empower women to play a key role in improving food security and resilience at the household and community levels. “Amalima” draws its name from the Ndebele word for the social contract by which families come together to help each other engage in productive activities such as land cultivation, livestock tending, and asset building. 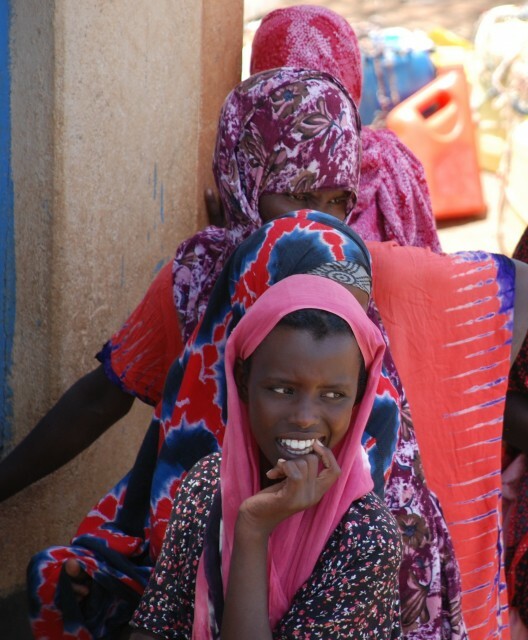 Communities in the Amalima districts adhere to a predominantly patriarchal culture, which has traditionally afforded limited rights to women. 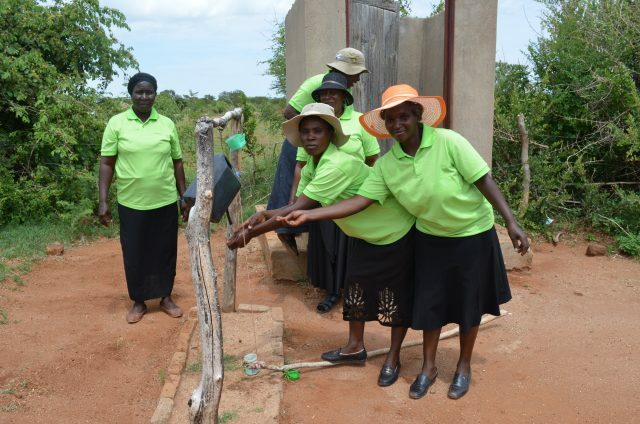 In rural Zimbabwe, women are customarily responsible for household chores and childcare activities, as well as the most time and labor intensive agricultural tasks, including land preparation, weeding and grain threshing. Women also have a prominent role in managing poultry and small livestock, including the use of eggs, milk and poultry meat for home consumption, while men control decision making and marketing of cattle. Men are reluctant to take part in duties perceived as womanly, such as supporting the care of sick children and fetching wood or water. To support male involvement in health and nutrition activities, Amalima works with “male champions” who act as community mobilizers and role models to encourage men to contribute to household and child rearing activities. Through these interventions, Amalima supports women to have increased access to and control over incomes, and promotes men and women to take increasingly equal responsibilities for productive and household activities. “After my injury in 2012, I felt like I couldn’t do anything and was spending a lot of time sitting around idle,” said Esnath. She explained that due to her disability, she was no longer able to perform most of her daily activities like fetching water, collecting firewood, and farming. 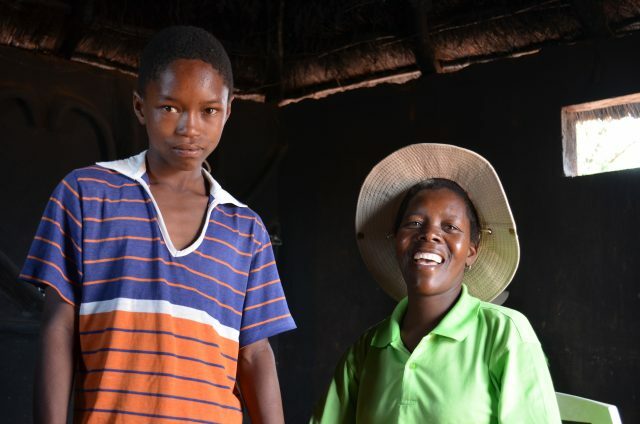 Esnath learned about Amalima’s Community Health Clubs (CHC) through an eco-stove training, and decided to participate along with her sister-in-law Tshihomanana Tshuma. CHCs promote increased awareness of water, sanitation and hygiene (WASH) practices in communities through completion of a 20 module Participatory Health and Hygiene Education (PHHE) training. CHCs foster learning for change through promotion of practical improvements at the household level to change the behaviors of community members in favor of a more hygienic environment. In March 2014, 16 women and one man from Tjompani village established the Mukani CHC and began receiving lessons from Nosizo Dube, their neighbor and Community Based Facilitator (CBF). Mukani members wash hands at Esnath’s tippy-tap. After completing the PHHE sessions, all 17 Mukani CHC members graduated at a community-wide ceremony. After this milestone, Esnath and the other members recognized a positive momentum with their initiative and made the decision to continue working together as a Village Savings and Lending (VS&L) group. To make this transition, they received training on VS&L methodology from Amalima, including group formation, constitution development, group fund development, loans and loan appraisal, and record keeping. The Mukani group held its first VS&L meeting in August 2015. Their objective is to save for short-term needs such as food, kitchen utensils and school fees, as well as to pool financial resources for larger, higher-impact income generating activities. The group’s long-term goal is to establish a poultry business with their savings. At each meeting, hosted by a different member on rotation, members make a $10 contribution. Each month $10 is set aside for group savings and investment in their poultry business, which they hope to establish later this year. The remaining cash is used to provide the hosting member with kitchen utensils and a goat valued at approximately $35. The balance is then shared out evenly among members for their household use. The group has $70 saved to date. After receiving her eco-stove training and joining the Mukani club, Esnath recognized her ability to lead a full life. The training Esnath received from Amalima is invaluable, yet the support and friendship from her group members has been just as vital to her livelihood. She is grateful for the opportunity to join the CHC. “It has given me a sense of purpose,” she says. March 10, 2016 – this post is a contribution to our week-long blog series highlighting some of the incredible women that we work with across the world. 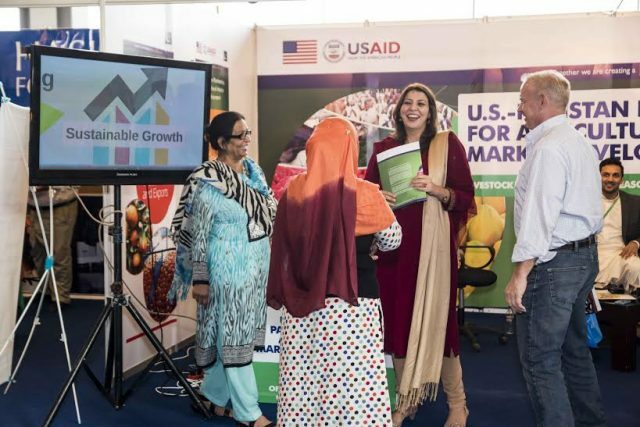 The U.S.-Pakistan Partnership for Agricultural Market Development (AMD) project participated in the SAARC Trade Fair and WEXNET expo that took place from December 4-6, 2015 at the Lahore Expo Centre. WEXNET is the largest exhibition in Pakistan for women entrepreneurs and is organized by the Trade Development Authority of Pakistan (TDAP). It provides women entrepreneurs and exporters with opportunities to exhibit their products, network and establish mutually beneficial business partnerships. In years past, WEXNET has included participation by over 300 exhibitors and attracted over 25,000 visitors. Pakistani women play a critical role in agriculture and account for a high percentage of agricultural labor. The AMD project has a strategy to empower women through a dual approach that 1) equips women entrepreneurs and laborers with the resources they need to effectively work towards increased agricultural productivity; and, 2) works towards an environment that encourages, supports, and respects women’s entrepreneurship. One of AMD’s specific objectives is to direct 20% of its grant fund towards these efforts. Mubarika Aijazuddin, CNFA’s Gender Advisor, organized AMD’s participation at WEXNET, where the project aimed to generate awareness about AMD’s upcoming competitive RFAs and Grants in citrus, mango, high value/off season vegetables and livestock product lines, among women entrepreneurs and exporters who are already running successful commercial enterprises. The project continues to work with partners met through SAARC and WEXNET. Mubarika has 15 years of professional experience in strategic social and economic development. 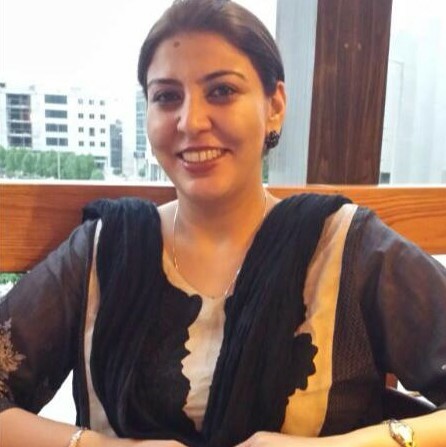 She has specifically worked in the areas of policy implementations, gender sensitization and communication. Prior to joining AMD Project as Gender Advisor, Mubarika worked for USAID FIRMS Project as Economic Growth Gender Specialist and Business Enabling Environment Specialist. She completed her Master’s degree thesis at Georgetown University, which evaluated the important role of a public- private partnership that resulted in successful deployment of cellular service for women beneficiaries in rural Bangladesh. While at Georgetown, Mubarika volunteered to do a voice recording for a National Geographic documentary on “Honor for Men: Killing Women in Pakistan 2001.” She narrated a firsthand account of brutal disfiguration a woman named Zahida Parveen had endured at the hands of her husband. After this experience, Mubarika developed a keen interest in women’s issues and deliberately chose a career that focused on promoting gender empowerment and equality. Mubarika (center) and CNFA Chief of Party, Peter Dickrell, speak with women entrepreneurs and exporters at the WEXNET expo in Lahore, Pakistan. “I am confident that additional knowledge and experiences gained through AMD Project will equip me with the necessary analytical tools and leadership skills required to become an active and effective change agent for gender sensitive social and economic improvement. I envisage my future career as a motivating, influential leader who can mobilize public and private sector individuals and institutions to identify gender based constraints and construct innovative solutions to overcome them." March 9, 2016 – this post is a contribution to our week-long blog series highlighting some of the incredible women that we work with across the world. The Restoring Efficiency to Agriculture (REAP) program plans to celebrate International Women’s Day (Women’s History Month in the Republic of Georgia) by organizing two events for women-owned agribusinesses and individual women agricultural entrepreneurs. REAP’s Gender Specialist, Shorena Dzotsenidze, plans to coordinate one of these two events in cooperation with the USAID/Farmer-to-Farmer (F2F) Program. By organizing a demonstration visit of a F2F volunteer expert in berry fruits production and processing, the REAP team will give aspiring women agricultural entrepreneurs an opportunity to gain deeper insight into the area of berry fruits cultivation, production, and processing as they begin to formulate their business plans. Izoldi Kitesashvili (see Izoldi’s portrait below), director of the agricultural cooperative ‘Gile’, which is a REAP grantee and recently established enterprise that produces dried fruits for export to foreign markets, has volunteered to host the demonstration visit. The second event will be a workshop-style “Fundamentals of Agribusiness Management and Marketing Training Program,” that will target women business owners and young agricultural entrepreneurs. Both are key demographics in REAP’s strategic platform for gender-equitable agriculture development. More specifically, the team will target small-scale to medium-scale women-owned agribusiness, but also individual women who represent family-owned and operated farms. Overall, the objective of the training is to provide support to those aiming to enter the commercial farming or start an agricultural enterprise, regardless of their level of prior experience. Looking ahead, REAP’s gender-related activities will continue to aim at improving the business acumen of female agribusiness executives and owners, as well as increasing their access to opportunities through capacity building, leadership development, and networking opportunities. In the long-term, REAP believes that this capacity building helps ‘near qualifiers’ as well as REAP’s grantee women-owned agribusinesses to scale up their enterprises, improve their competitiveness, and be more resilient during times of crisis. REAP empowers Georgian women as catalysts and role models in their communities and encourages all types of hard-working women to step into the world of agribusiness. Click through the images below to see portraits of women entrepreneurs working with REAP. International Women’s Day — March 8, 2016 – this post is a contribution to our week-long blog series highlighting some of the incredible women that we work with across the world. In Ethiopia, USAID’s Agricultural Growth Program-Livestock Market Development (AGP-LMD) is a flagship project under President Obama’s Feed the Future initiative. In January 2016, the project organized and sponsored the annual Women in Agribusiness Leadership Networking (WALN) Conference. The conference showcased successful women-owned micro-, small, and medium enterprises (MSMEs), and was organized jointly with the AGP-AMDe project. WALN brought Women Entrepreneurs together from four regions with the objective to share their experiences, challenges, and successes. AGP-LMD awarded 13 women Entrepreneurs grants totaling $1,116,209. This event is a continuation of one of AGP-LMD’s key activities: to empower successful women’s groups and women-owned MSMEs and entrepreneurs. AGP-LMD’s women entrepreneurship and leadership development component identifies women who are or have the potential to become livestock entrepreneurs and role models, and provides them with training and coaching to develop the women’s technical, business and leaderships skills that will help them become successful business owners, operators and community leaders. USAID also facilitates investment and finance to women entrepreneurs including provision of innovation grants fund to encourage local Ethiopian investment and innovation in the livestock sector. Emebet Mekonnen is one of these women and her story continues to inspire other Ethiopian women and entrepreneurs around the world. Emebet is a widow and a mother of three girls who lives in Bahir dar town of the Amhara region in Ethiopia. Six years ago, she lost her husband in a tragic car accident that left her partially paralyzed. After a slow recovery, Emebet regained all mobility and started brainstorming ideas of ways to provide for her family. She came up with the idea of opening a small pizza house in hopes of attracting tourists visiting the town, but immediately she faced resource challenges including the availability of cheese. This led Emebet to start processing her own cheese by collecting milk from farmers in the area. Unfortunately, the product quality and yield remained low due to her limited knowledge and technical skills, coupled with the inefficiency in the collection and supply of raw milk by farmers. Two years ago, Emebet started working with AGP-LMD. The project facilitated trainings for her in quality production, entrepreneurship and leadership, as well as sponsoring a strategic learning journey to India to study the commercialization of livestock products. Thereafter, Emebet was the first woman to apply for and receive a $100,000 innovation grant from USAID, which she used to expand her business. Emebet catalyzed major improvements by purchasing designated milk collecting cans for the farmers supplying her with milk. She used to reject up to to 200 liters of poor quality milk per day due to use of unhygienic containers but after her intervention, this has declined to roughly 20 liters. In addition, Emebet has been able to increase her processing capacity from 500 liters to 900 liters per day, an improvement that has brought her both profit and vision for future expansion. 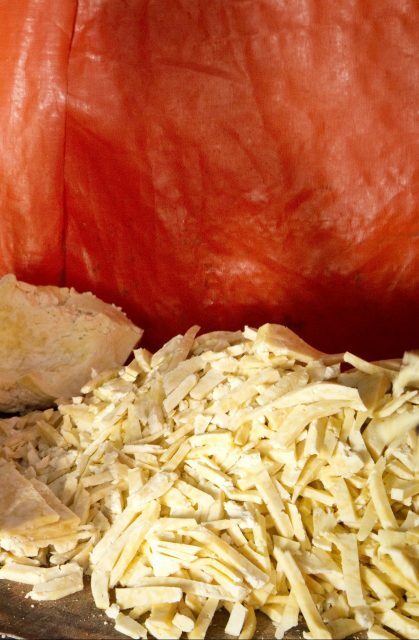 “Before working with USAID, my business idea was to only supply cheese to my own pizza house. Today, I have a growing business with markets throughout the country. 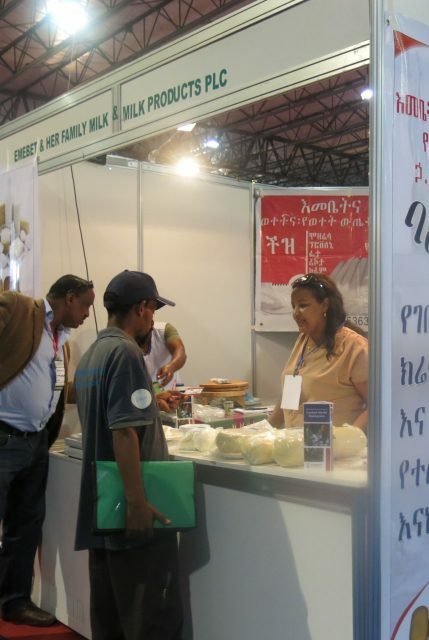 I know that my family’s livelihood improved and my income increased as a result of working with USAID.” Emebet now has several contracts to supply cheese. Additionally, nine months ago, she invested 200,000 birr and opened a new café serving cake, milk and juice. Her new venture allowed her to hire 10 more employees to join her already 50-strong staff. Emebet has three daughters, 20, 18, and 12 years old. Her business is called Emebet & Her Children Milk and Milk Products Processing Plc. "I included my children into the business name, not because of expecting their contribution to it or for them to totally depend on it alone. Rather, to show them that as girls they can overcome challenges and succeed in what they want to become." March 7, 2016 – this post is a contribution to our week-long blog series highlighting some of the incredible women that we work with across the world. Though retailing agro-inputs (i.e., seeds, fertilizers and crop protection products) is a new profession to women, it is one in which they have great potential to be successful because of the enormous demands for quality agricultural inputs in Bangladesh. CNFA’s Agro-Inputs Project (AIP), implemented under the U.S. Government’s Feed the Future initiative, supports experienced and interested women with educational and financial eligibility to establish their own career path as an agro-inputs retailer. 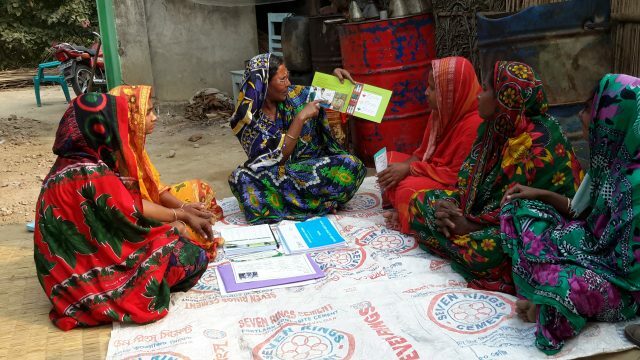 Currently, AIP is working to create or develop 300 women-owned agro-inputs businesses in the 20 southern districts of Bangladesh through 1:1 cost-shared grants. In addition to in-kind grants support, AIP organizes various knowledge and skill development trainings and practical sessions. This enables women retailers to enter into the agro-inputs business, and helps them achieve financial solvency and empowerment. Swapna Mondol, from Batiaghata, Khulna district, has worked in Bangladesh’s agro-inputs industry for six years. She initially worked for her husband’s business, but when she heard about the Agro-Inputs Project (AIP) matching grants program for women agro-retailers, Swapna decided to start her own business. With this vision in mind, she obtained provisional membership in the Agro-Inputs Retailers Network (AIRN) and participated in the training programs it provided. Swapna learned about new techniques for sowing seeds, applying crop specific fertilizer and protection products, and proper protective measures for using these products and spraying crops. To help transform her dream of opening her own business into a reality, AIP provided an in-kind grant for establishment of an agro-inputs retail shop as well as further training on technical aspects of agro-inputs and business management. Additionally, in order to provide Swapna with more local support, AIP engaged a local AIRN retailer, Farid Sarder, who has long-term experience in the agro-inputs business. “Through mentorship, we are learning from each other,” Swapna said. With her now well established shop, Swapna and her husband are able to save a substantial amount of money each month, allowing their two sons and one daughter to attend school regularly. 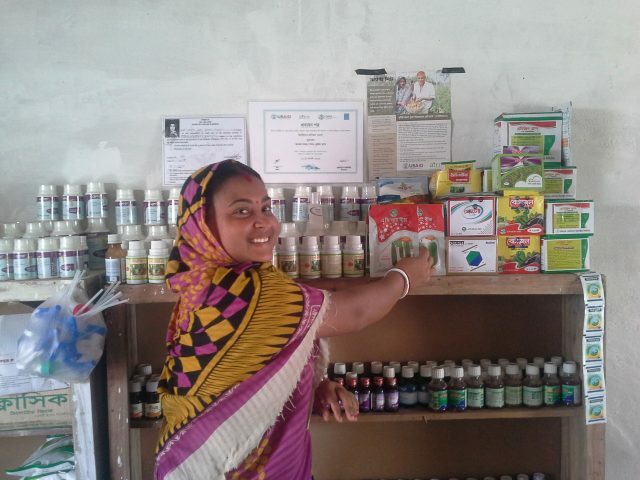 Swapna not only operates her own business, but also does social work by providing nutrition information to her clients. She has become a leader in the community, and her efforts have encouraged other local women to consider involvement with an agro-inputs business as well.